If you missed out on the previous deal, Amazon has discounted this flat Cat 6 cable again. In early August, CableMonsta sold a white, flat Cat 6 50-foot ethernet cable on Amazon for $6.90. Today, that deal is back, but this time the cable's a different color and one dollar cheaper. For $5.91, you can get the black version of the same ethernet cable. To get the deal, click the "Buy 1, get 46% off" option right underneath the pricing. 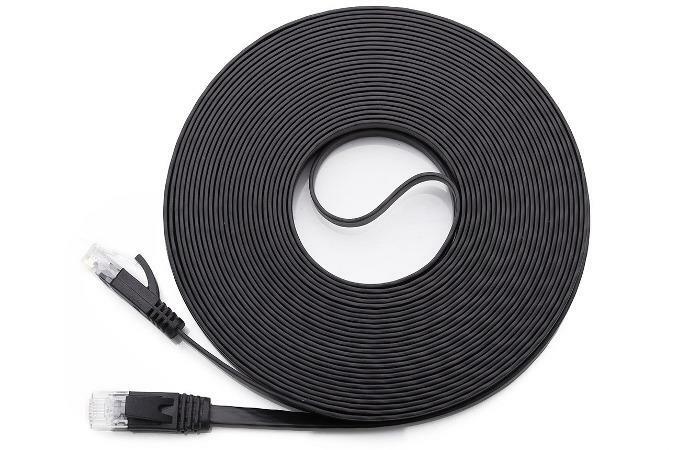 According to CableMonsta, this cable is flexible and supports a bandwidth of up to 250 MHz. It also uses 100 percent bare copper wire and gold-plated contacts. The flat design makes it easier to fit the cable under doors and carpets to keep it out of the way. 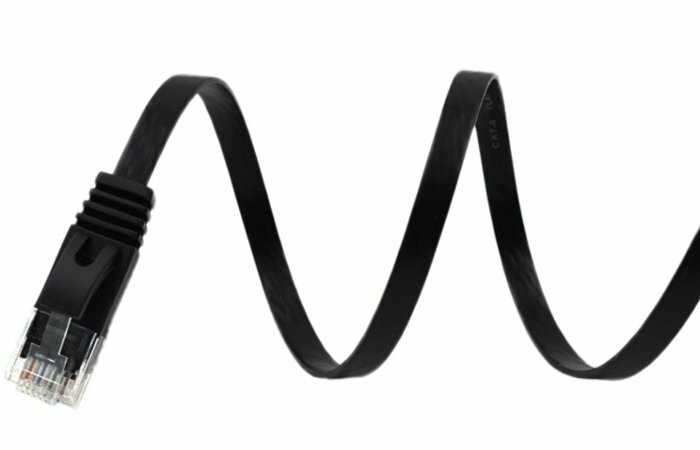 This cable is also anti-wear, pull resistant, and can support up to 55 pounds of pressure. That means it should be pretty durable if it gets pulled or pushed while on a floor. Plus if you ever get tired of the Internet, a few feet of the cable can serve as a homemade jump rope. Note that while CableMonsta offers a lifetime guarantee with this ethernet cable, we can't guarantee the company will honor it if they find out you've been using the cable to jump rope.